BRICK-Some workers in Brick work each day in fear of political retaliation and harassment. 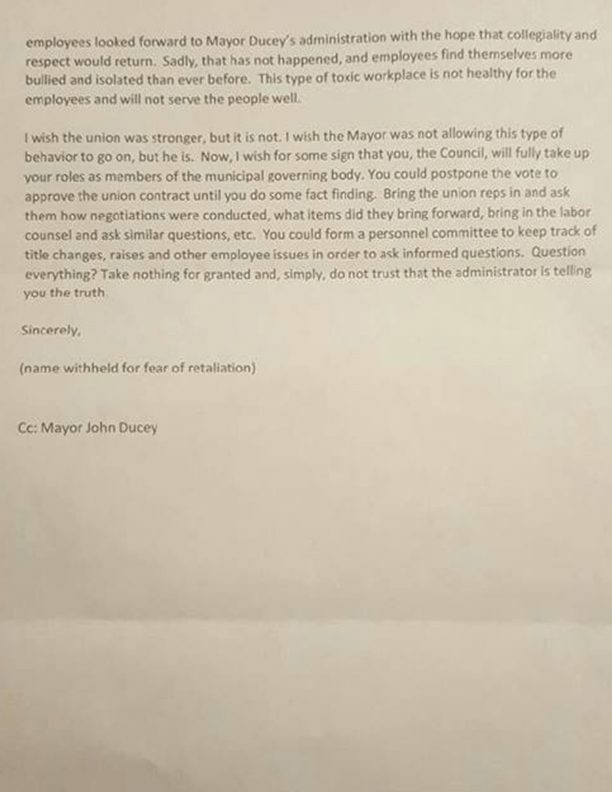 That’s what a letter mailed to township officials and certain media outlets last week claimed. It was discussed at Tuesday’s Brick Township council meeting, but now, the Democrat-aligned law firm of Starkey, Kelly, Kenneally have refused that letter to be released to the public. 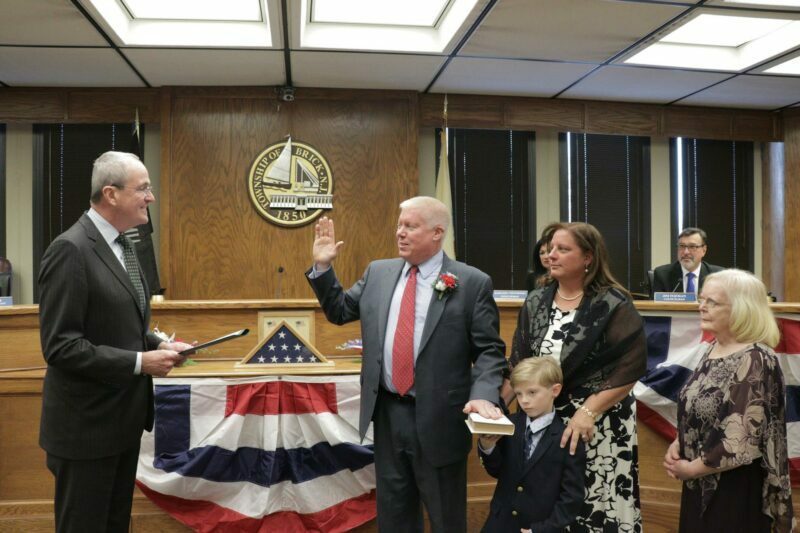 The request was made through OpraMachine, a website run by Gavin Rozzi of Lacey Township whose goal was to allow the public easier access to the layers bureaucracy of that sometime shield residents from obtaining public records from their towns. The lawfirm, which regularly donates to political campaigns cited New Jersey statutes in their attempt to keep the letter from the public. “You have received several requests pursuant to the Open Public Records Act, N.J.S.A. 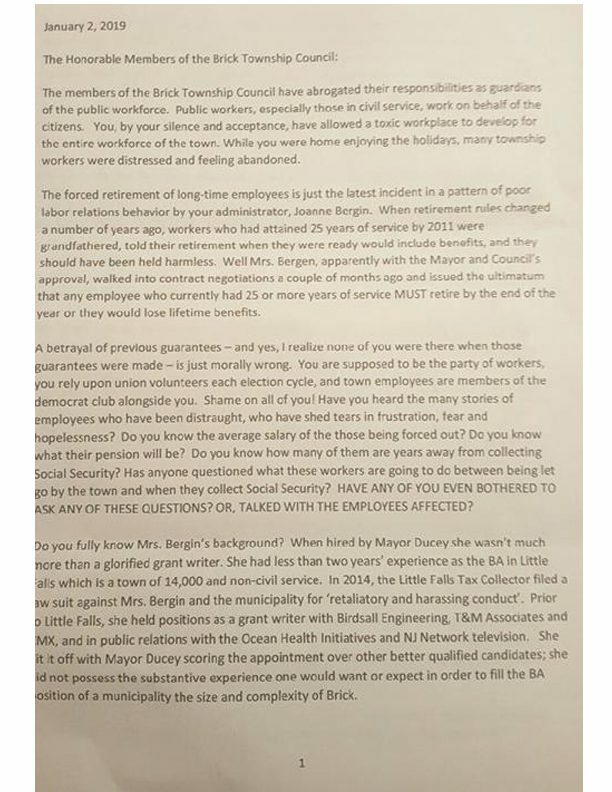 response to such OPRA requests,” attorney Kevin Starkey wrote to Jessica Larney, Custodian of Records for the municipality. Although the letter was discussed on Tuesday in public, the firm remained steadfast in their decision to advise the township to not release it to the public. 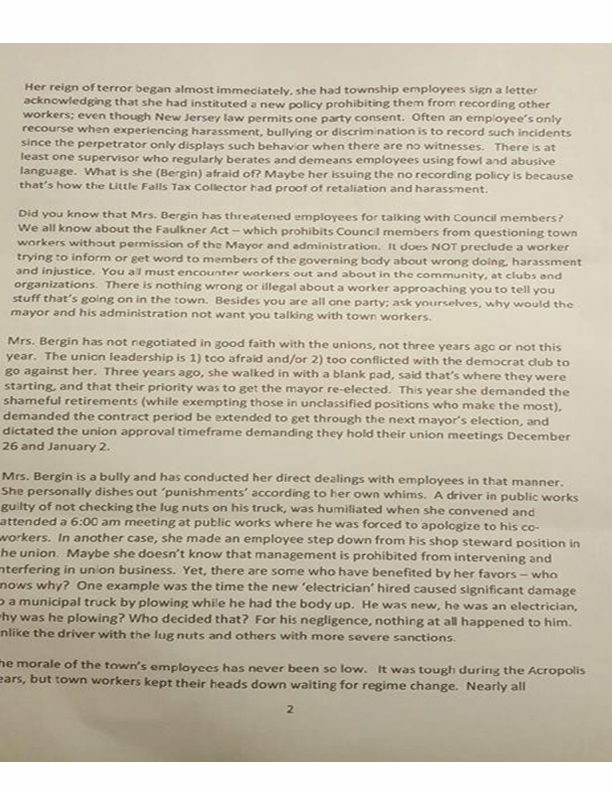 Below is a copy of the letter, obtained by Shore News Network via an anonymous source at the same time the township officials received their notices. It is SNN’s policy not to publish anonymous letters, however since the letter was discussed in a public meeting on Tuesday, we have decided to publish it for public view, without redaction.